New Jersey’s online poker revenue figures are in for November, and the numbers are down yet again. For the month, online poker sites brought in just $1,877,603 across the state, about $90,000 less than in October, which had previously marked the all-time low for the market. That makes two straight months in which New Jersey’s regulated online poker sites have brought in less than $2 million in revenue, the only two times this has occurred over the first year the sites have been in operation. Those numbers aren’t good, but they may not be quite as frightening as they seem at first glance. While overall revenues were down nearly five percent, that doesn’t account for the fact that November is one day shorter than October. On a daily basis, the drop was a more reasonable 1.4 percent. Poker also fared better than Internet casino games, which dropped more than eight percent month-over-month. Overall, that meant a nearly eight percent decrease in online gaming revenue, down to $8.74 million across all sites. November was another month of change for the New Jersey online poker market, as a second room decided to close its doors. This time, it was Betfair that threw in the towel on poker: an understandable decision when you note that the company brought in $0 in revenue through poker during the month. However, Betfair does continue to offer online casino games in New Jersey, making their departure different than the full withdrawal by Ultimate Gaming a few months earlier. That exit left only two players vying for control of New Jersey’s online poker market. 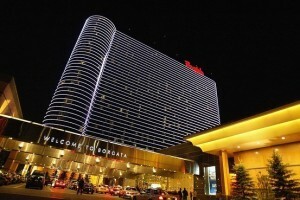 The Borgata has a slight lead, as their licensed sites (Borgata Poker and partypoker NJ) account for about 53 percent of all revenues in the state. The remaining revenue is generated by sites that use licenses from Caesars: WSOP.com and 888 New Jersey. The Borgata sites are networked to share a single player pool, while WSOP.com and 888 are operated independently of each other. Perhaps most concerning for New Jersey is the fact that online poker revenues are falling as winter approaches, which is the opposite of the trend typically seen in the industry. Given how young the market is, there are a few possibilities: perhaps the declines are inevitable after an initial surge in interest, or maybe traffic patterns in New Jersey are unique and will peak during the summer months going forward. Given that New Jersey’s regulated Internet gambling market has been active for a year now, it’s only natural to look back at how the sites have done over their first year in operation. Overall, online poker has brought in over $27 million in 2014; adding in December 2013, and Internet poker is responsible for about $30 million in revenue in its first year of operations. That’s out of about $120 million for online gambling as a whole. Those numbers are far below the fanciful projections of $1 billion in revenue that were floated by Governor Chris Christie before online gambling began in the state, but they’ve still made some difference for Atlantic City’s struggling casinos. While total annual casino revenues are down about four percent for casinos year-over-year in 2014, they’re actually up 7.7 percent for the resorts that are still in business, and more than half of that growth has come from the Internet.